the start of the first launch (back) and the end of the break-run (front). you can see when the track stops inclining. 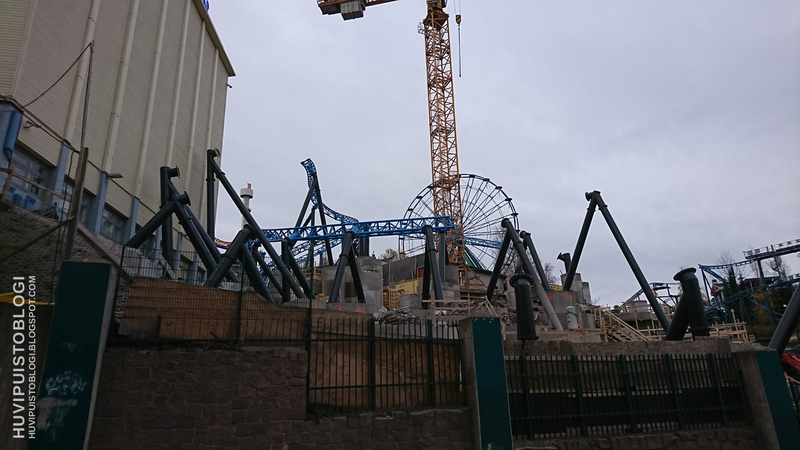 You can see the park from the local train, and in the last couple of days they have added more black supports. b&mfanboy123, TMCoasters, Jaiden M. and 8 others like this. IN-B-4: That blue is lovely. That's a beautiful shade of blue! I hope to see vertical construction to start very soon! Seems like I'm always saying this about blue coaster track, but that is a lovely shade of blue! It is though, is it periwinkle or royal in this case? I'm more about that zero car. Bird shaped train pieces are a good idea. TMCoasters, PetskuC and JoshC. like this. 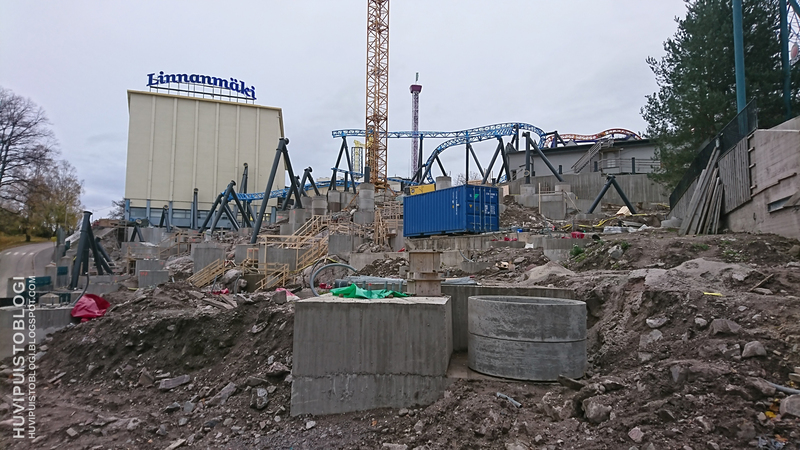 Thanks for the update, it's starting to look good, although I'm still kind of hoping it doesn't end up being a world class coaster just because I don't really want to go back to Linnanmaki. PetskuC, EpochEmu and Ben like this. Jaiden M., Hutch, Zek_Teh_Kek and 8 others like this. wow, that turnaround at the station (the part that has recently been constructed) looks like it can pull some really heavy G's. I bet some will even grey out there, seen as after that turn the next element is a trick-track (which is kinda low G so people can regain consciousness). I very much doubt that tbh. Yeah it looks like it will pull some good forces but surely not sustained enough to cause a grey out. I'm aware that it's subjective and dependant on individuals but I just don't think the forces will be prolonged enough. When you look at i305's original turn, it lasts forever. But I'm no physician so I'm sure somebody more in the know could either back me up or correct me. yeah, it definitely is individual. I haven't been on I305, so I can't compare. 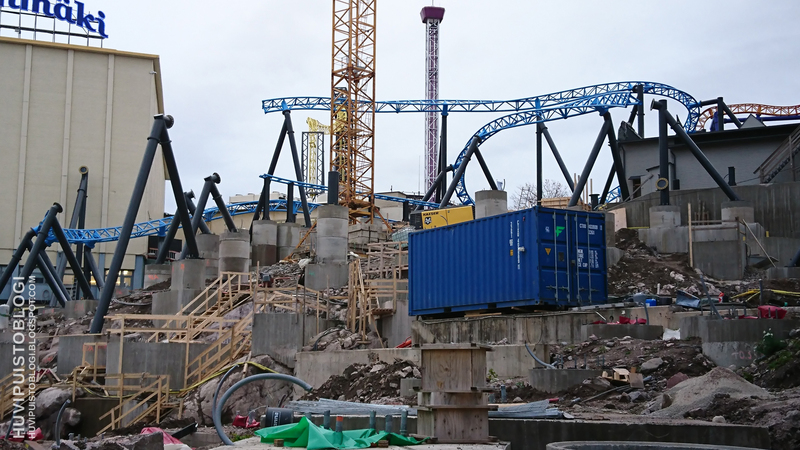 However, I feel that this will be one of the more intense parts of the coaster, if not the most intense! I really dislike that trick track section of the layout according to the POVs. It's awkward and clearly done for a non-thrilling reason. Taron manages it's trick track well with it's use of close to terrain and the drop into the second launch. this just kinda meanders above the layout. Yeah, I agree. I think they are trying to emulate the feeling of the Taiga eagle soaring trough the wind. Yes, it looks kinda sucky but we'll have to wait and see. I was today at the construction site. In the 10min I was there, they installed two supports, with two supports laying on the ground and two trackpieces being driven to the site from the storage lot. They are really moving along quickly! The track pieces that got installed were for the turn into the turn-around at the station. Coaster Hipster, Matt N, CrashCoaster and 3 others like this. Now here's the fun part. I posted earlier that the Taiga entrance could not be near the second launch. However, when looking closer, I think it might be possible. This is the brown part. I think this could be the entrance and/or exit. Also, the rumored gift shop could very likely be placed here. The entrance might be placed somewhere else, but this is the only place with enough room for a gift shop. The brown line is my prediction for the waiting-line/exit, since I have seen "rooms" and "hallways" made from concrete already at the construction area that are placed there. PetskuC and Stevie like this. vaugc002, Matt N and Pear like this. It reminds me of the big elevator testing tower near Lake Compounce. vaugc002 and PetskuC like this. That’s it, it’s a CHP plant that provides the majority of Helsinki’s population with heating and hot water as opposed to every household having their own gas boiler. The Scandinavians are pretty hot on there energy efficiency. vaugc002, Hixee and PetskuC like this. Don't forget the electricity generated too - if it is a CHP as you say. That's the whole point. PetskuC and vaugc002 like this. haha thanks (and also to @PetskuC and @Hixee). I kinda hoped it might be a viewing tower or something. It's a shame they can't disguise it or at least blend it into the landscape a bit better especially given the region's brand new massive investment of a coaster is right beneath it. Heya! 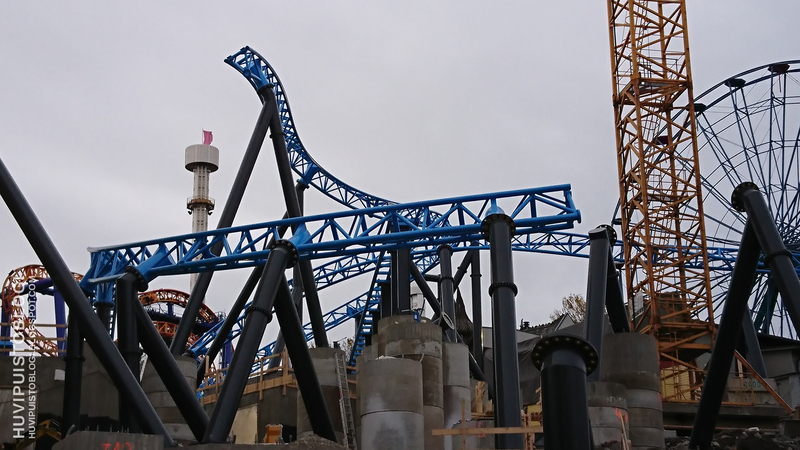 Amusement insiders recently posted a construction update on Taiga! In the video we can see that the turn after the trick-track is installed. Also installed are the lower most parts of the immelmann. b&mfanboy123, vaugc002 and Matt N like this.